Why an article on encouraging boys to read? Let’s start by stating the obvious: all children are different. And not only are all children different, the age at which reading ‘clicks’ can vary massively from child to child. We all want our children to enjoy reading, but what do you do if you have a reluctant reader? Why do we need to start encouraging boys to read? This post is specifically focussed on tips for encouraging boys to read. Now I know there are tons of boys who need no encouragement at all to read. And some girls balk at the sight of a book. However, research shows that boys’ reading consistently lags behind girls’ and this ‘reading gender gap’ is widening. The National Literacy Trust in the UK found that girls not only outperform boys when it comes to reading, they also have greater enthusiasm for reading for pleasure. According to the report, 13% of boys said they do not enjoy reading at all vs 7% of girls. As parents, we also have different expectations with regards to reading. Certainly my children’s experience of learning to read in an IB school in Bangkok was vastly different to mine in a primary school in England. Angela Karpeles, (B.Ed Special Education) says, ‘Globally, reading is taught at different ages. Some boys who just may not be ready developmentally can be labelled as poor readers; they then tend to self-label ‘I am a poor reader’ or ‘I hate reading’. As a parent, it’s important to keep things fun and take the pressure out of reading. This is especially true if there’s an issue such as dyslexia; boys with dyslexia often tell me how stressed they feel when they have to read’. How do we encourage boys to read? Here are some tips on encouraging your reluctant reader. These tips apply to any reluctant reader but, as I said above, the focus is on boys. I am not a teacher, but some of these tips are from teachers, some are from Mums and some are from avid readers and writers. Model reading to your child and make reading a normal thing that you all do. Let your child see you reading and talk to them about what you are reading. For boys, make sure they get to chance to read with their Dad, Grandad or other male role models. Boys need to see that reading is a thing that men do and enjoy! Enjoy books together. When reading aloud, stop and point out the funny bits and talk about the book. That way you can gauge your child’s understanding of the story and help capture their interest. Speaking of interest – if your child is interested in the book, he is more likely to want to read it. Sounds obvious, but that’s because it’s true! You may not be interested in books about football or gross stories about bogies and snot, but these books might be just the thing for your son. What do they like? What makes them laugh? Would a mystery story have them turning the pages? Your childhood favourite might be Enid Blyton, but for a child who isn’t keen on reading, these stories may seem dated and uninspiring. I think we also sometimes have expectations of what we want our children to be reading – classic, well written books or books that we have loved. In reality, your son might just want to read books that have a lot of fart jokes…and that’s ok! Look for writers your child can relate to – stories that not only are interesting to them, but are relevant. Perhaps stories set in places you have lived – my kids enjoy reading books set in England, but I’m sure they’d be thrilled to read one about Bangkok. Keep books and comics around your house. In his bedroom, in the living room, in the car and, especially, in the bathroom next to the toilet! Reading just before bed might not be the best time if he is too tired to concentrate. This might be a better time for you to read aloud or perhaps play an audio book. ‘Remember a child doesn’t start hating reading overnight…and won’t begin loving it overnight either. Behavior change takes time. It’s crucial to rule out medical reasons for your child’s reluctance to read – do they need glasses? Is dyslexia or hyperlexia at play? If those are ruled out and your child is particularly resistant then I think reading towards earning a concrete/tangible reward can be helpful in the beginning. Especially to get to that magic 21 day mark when behavior changes to habit’. So many books were recommended by the Expat Book Club on this topic and I have included a round up here. When it’s an author that has been recommended (some of whom are incredibly prolific!) I have highlighted a couple of their ‘greatest hits’. The one obvious choice I haven’t added here is the Harry Potter series, because I think the size of these books can be off-putting to reluctant readers. The audio versions are fantastic, or perhaps these could be the books that you read aloud together? Oh, we love Roald Dahl. So many incredible, inventive and funny stories. And also lots of great audio and screen adaptations that could help further encourage a love of stories. We also have a collection of CDs that have been listened to over and over again….although I’m not sure if anyone listens to CDs anymore?! He has been described as a modern Roald Dahl and his books are funny, silly, feel-good and generally a bit gross. 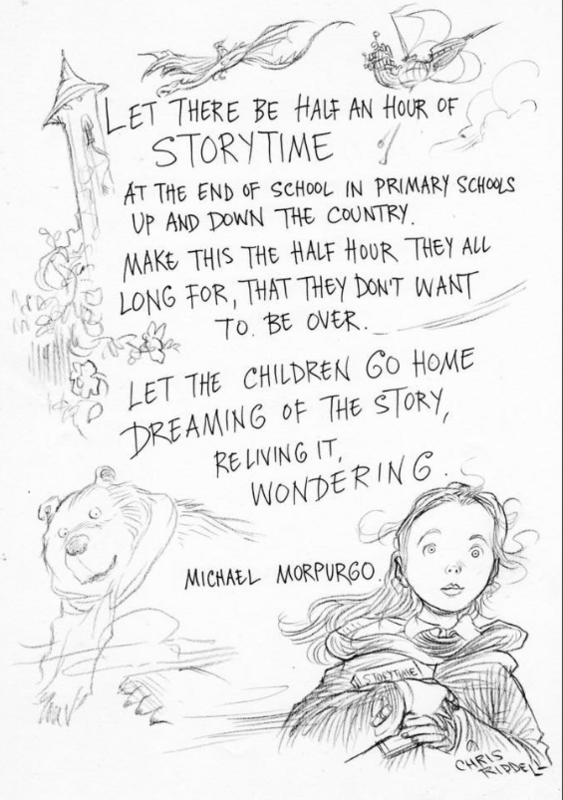 I love this quote from Michael Morpugo – author of ‘War Horse’ and previously Children’s Laureate. He is an inspiring author, and someone who is passionate that reading is not just an exercise to be learned in schools. His books are very varied, but they are stories that can be enjoyed by adults and children alike (although some are more grown up in content than others). We love the fact that his books often centre on animals (as in the two suggested here). A lot of them are also concerned with war, or have war as a backdrop – which is the case with ‘The Amazing Story of Adolphus Tips’. ‘Running Wild’ will appeal to any child who has lived in Asia. These books tick the ‘factual’ and ‘gross’ boxes…they are entertaining, funny and educational. Tthere are lots of them, so ideal for supporting projects at school, or just for a bit of fun. The TV series is also good…and gory. Trivia books often prove to be a hit, such as The Guinness Book of World Records (currently 8.99 GBP on Amazon UK which is a bargain – makes a great Christmas gift) Ripley’s Believe it or Not and It Can’t be True. This is a series about vikings and dragons by Cressida Cowell. My girls loved these books – and the movies. The characters are funny, the plots are exciting…and there’s a whole series which is great if your son gets hooked on them! So many people said that their son loved their regular comic delivery of the Beano. Asterix and Obelix was also a big hit with lots of boys. Captain Underpants blends comics and novels and was recommended several people on the group. LOTS of toilet humour here… when you see titles like ‘The Perilous Plot of Professor Poopypants’ you know it’s going to elicit a laugh. Another one that came highly recommended by a friend (who knows more about graphic novels that anyone else I have ever met) is ‘Runaways’ by Brian K Vaughn. The Diary of a Wimpy kid series by Jeff Kinney was also mentioned a lot. The format of this book is bit different which may appeal – it looks as though it is handwritten, and there are lots of pictures. And silly jokes. The Geronimo Stilton series also looks different to ‘ordinary’ books – lots of illustrations, and the formatting is fun. There are many books in this series about a mouse who has lots of adventures. Similar in style to Diary of a Wimpy Kid…but I have to say, we preferred this series. A wonderfully engaging central character, lots of laughs and great illustrations. This is a great series, about Nanny Piggins, ‘the world’s most glamorous flying pig’ who runs away from the circus and becomes a nanny…and adventures ensure. Perfect bedtime reading with lots of laughs. Have any of these books proved to be a hit for your boys? Or is there anything else you would add? If you’re on Pinterest, take a look at the ‘Encouraging Boys to Read‘ board. Thanks Briony and I am so glad it has clicked for him! It’s really helpful for me, having a boy who does not enjoy reading. ? Thank you…and I’m so glad it’s been useful for you ? I was read to as a boy (we didn’t have a tv in the house until my mid-teens). I loved those times. As we lived in a few countries I always loved the adventure books – tom sawyer, huck fin, the hobbit, the lord of the rings (i detest the movies). I stopped reading when pubity hit and I turned to sports. But the skills I learnt of how to navigate a book were invaluable at university. After university I returned to books although mostly non-fiction.